The Greenback left its peers eating dust as it was fueled by risk aversion on account of all the global uncertainties in play last week. Weak U.S. data? Not a problem! This time, the focus is likely to shift to trade talks as top U.S. officials are set to continue high-level talks with Beijing. To add to that, government budget issues could steal the show as another shutdown may be looming. Read more. Weaker oil prices and risk sentiment weighed on the Canadian dollar for the most part of the week, but it managed to catch a reprieve on upbeat jobs data. There are no major reports on deck for Canada this week, though, so the Loonie could take most of its cues from risk appetite and oil prices again, as well as trade talks. Read more. Another round of downbeat German reports kept the shared currency on weak footing last week as this underscored the ECB’s downgraded forecasts. This time, the GDP reports are up for release and market watchers are already bracing for dismal results. As always, risk-taking and dollar direction could push the euro and franc around again. Read more. Sterling had one of its calmer weeks as traders are holding tight while waiting for more Brexit developments. The BOE admitted that uncertainties have taken their toll on the economy, but Carney still has some optimism left. Economic data lined up this week could either highlight the central bank’s downgraded estimates or prove that Carney is onto something. Here’s what to expect for the GDP, CPI, and retail sales figures. Read more. The yen wound up in second place, next to the U.S. dollar, on a week filled with risk-off moves. Still, it gave back some of its winnings ahead of the weekend. It’s a shortened trading week for Japan, but that doesn’t mean that moves would be limited. The preliminary GDP reading is due later on and trade talks could also do a number on sentiment. Read more. The Aussie saw red almost the entire week as it was dragged down by risk aversion and hints that the RBA is open to cutting interest rates. Yikes! Only a couple of medium-tier reports are due from the Land Down Under, which leaves the commodity currency to take cues from overall sentiment, particularly when it comes to trade tensions. Read more. The Kiwi suffered a sharp slide as New Zealand’s quarterly jobs data disappointed, and it didn’t help that market sentiment wasn’t in favor of higher-yielding currencies. 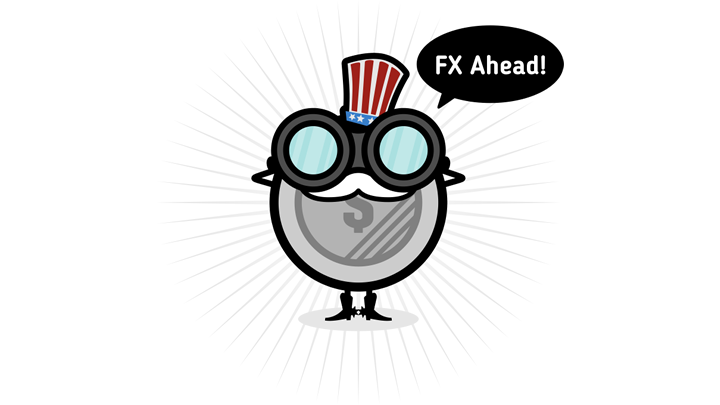 The RBNZ monetary policy statement is the main event for the week and, even though no changes are eyed, traders are keeping their eyes and ears peeled for any hints that rate cuts may be in the cards, too. Read more. First up is this short-term reversal setup on EUR/NZD. The pair recently busted through its descending trend line and might be due for a pullback, possibly until the 61.8% level closest to the broken resistance. However, there’s an area of interest around the 38.2% that’s also worth watching, especially since stochastic looks ready to pull up from the oversold area. Here’s another short-term Kiwi play I’m looking at this week. NZD/CAD seems to be forming a descending triangle on its 1-hour time frame and is currently testing support. This happens to be right around the sell zone Happy Pip was watching a few weeks back. Price might still be able to pull up to the top of the triangle, though, offering a better short entry. Stochastic is still pointing up anyway but is already nearing the overbought region. Lastly, here’s one for the swing traders out there! This pair has been pacing back and forth between support around the 1.0500 major psychological mark and resistance around 1.1100. A bounce off the range bottom might be due as stochastic is also climbing out of the oversold region to indicate a return in bullish pressure.